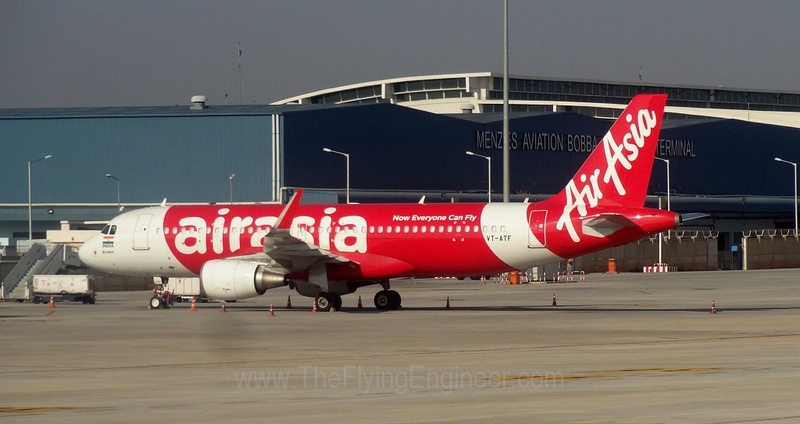 Following the receipt of its 6th aircraft, AirAsia India today announced the addition of new frequencies and is expected to soon announce the addition of a new sector from Delhi. The airline, which recently received its 6th Airbus A320, registered VT-APJ, will base the aircraft at Delhi. We had talked about this earlier. The Delhi <> Goa sectors, and the Delhi <> Guwahati sectors will get an additional frequency. The new sector that the airline is expected to operate is Delhi- Vishakhapatnam. Delhi to Vishakhapatnam will depart at 6:05 am as I52551, and will depart Vishakhapatnam at 8:35. The total number of flights on the Delhi<>Goa sector goes upto thrice daily, and the number on Delhi<>Guwahati goes upto twice daily, from November 17th. However, the airline now has two flights to Goa from Delhi (and back) spaced just 45 minutes apart, which may lead to cannibalization, pronounced during the off-peak seasons. The new Delhi – Guwahati flight gives a Delhi passenger the option of a meaningful day return on the same airline. One of the three aircraft patterns is expected to be dedicated to these new route and frequencies. Aircraft operating the pattern will fly DEL-VTZ-DEL-GOI-DEL-GAU-DEL, accumulating a block time of 14:45 hrs. With the addition of the new aircraft and the related routes, the airline will increase capacity (measured in available seat kilometres) by 24% over the existing network, and will increase seat capacity by 17% to 7,200 daily seats. Daily flights will increase to 40 from the present 34. Unlike in the summer peak season when the airline had two airplanes on ground for nearly two months, and incurred setup costs associated with the opening of four new stations (Delhi, Guwahati, Vishakhapatnam, Imphal) the airline in the winter peak season is not opening any new stations, thereby incurring no one time costs related to the network. Presently, the airline is only selling the new DEL-GOI-DEL and DEL-GAU-DEL flights. The DEL-VTZ-DEL flights are yet to be announced and opened for sale.